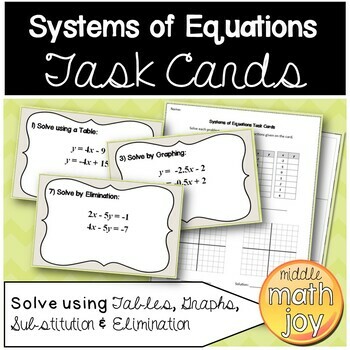 Each group gets a set of task cards and each student gets a handout to record their answers on. 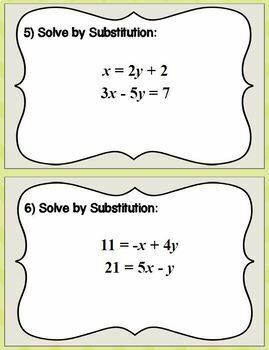 Give students time to solve each problem. It can be fun to assign each group one or two problems that they are in charge of explaining to the class after completing the activity. Post task cards around the room and give each student a handout. 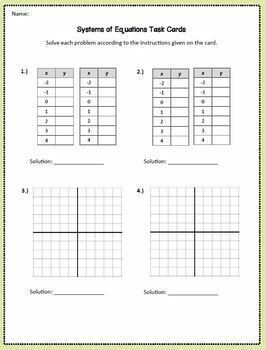 Give students time to circulate in small groups to solve the problems. When using this method it can be helpful to assign each group a starting number to ensure that groups begin the activity at different task cards. One of my favorite ways to do this activity is as a small group competition with whiteboards. In this case, no handout is needed. I show a task card under the projector and give a time limit. 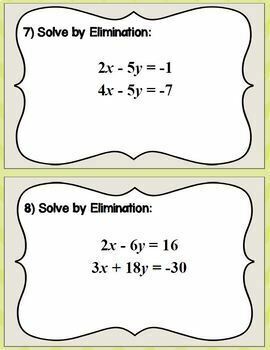 Every student (or pair of students– sometimes it works better for them to share one board per two people) in the group has to have the correct work and solution to score a point for their group. The group with the most points at the end wins.